In this post, I want to explain briefly the idea behind AQFT in the Haag-Kastler style. To motivate this, let me first sketch what QFT (= quantum field theory) is about, at least in my mathematically distorted perception. Classical quantum theory is about modelling purely quantum effects, i.e. without considering gravity, or at least without considering relativistic effects. There, a separable Hilbert space as a state space is appropriate. The bounded linear operators on the state space form a certain kind of normed algebra with compatible involution (taking the adjoint) called C*-algebra and measurements correspond to self-adjoint operators. Quantum field theory tries to incorporate quantum mechanics into electromagnetic field theory (or vice versa) and gravitational field theory. So far, no such theory-of-everything has been developed with falsifiable predictions, although there are some promising candidates. As a starting point for mathematicians, I recommend the book by Folland, Quantum Field Theory: A Tourist Guide for Mathematicians. Another useful source might be the work of Zeidler, which I haven't had the time to look at yet. Now AQFT, or axiomatic quantum field theory, is one approach to develop a QFT. The first input is to think about a quantum system not as a certain Hilbert space but as a certain C*-algebra of observables. One can always find a Hilbert space representation of a C*-algebra, which means that the two approaches are mathematically equivalent (by the GNS construction). The second input is to take some spacetime manifold (like flat Minkowski space or something more curved) and attach a C*-algebra to each open subset in a compatible way. This amounts to saying that quantum fields are defined as copresheaves of C*-algebras whose co-restriction morphisms are monomorphisms (see where I have borrowed this phrasing). In some sense, this means to attach a presheaf of non-commutative spaces to the spacetime, since C*-algebras are a model for noncommutative geometry. AQFT people call such a copresheaf of C*-algebras a local net of observables. One important aspect is locality, which means that effects at some point do not influence some other distant point - it takes time. More specifically, there is spacelike locality, which forbids two spacelike separated regions to influence each other at all, which means that the corresponding observable C*-algebras commute with each other (i.e. a measurement in one subsystem does not affect the other subsystem, they are independent). The third axiom is about spacetime covariance, which means that the elements S of the symmetry group (like the Poincaré group or a subgroup) transforms the observables of one open subset U to the observables of the subset S(U). This transformation is required to be an epimorphism of C*-algebras. The fourth axiom is positivity of energy. A mathematical axiomatisation of this would be that translation operators have spectral support in the closed forward light cone. This approach was developed in 1964 by Rudolf Haag and Daniel Kastler in "An algebraic approach to quantum field theory", Journal of Mathematical Physics, Bd.5, p.848-861. In AQFT, the observables depend on time (since they are associated to certain spacetime regions) and the "state", i.e. the spacetime and the copresheaf of C*-algebras are fixed. This corresponds to the classical Heisenberg picture of quantum mechanics. One of the big successes of AQFT are the CPT-symmetry theorem. C stands for charge, P for parity and T for time. The CPT-symmetry conjecture states that the laws of nature are invariant if time goes backwards, all charges are conjugate and all parities are reversed (i.e. all chiral properties). In the AQFT framework, there is a mathematically precise formulation of this conjecture in terms of operators and there also is a proof. The approach to quantum mechanics via C*-algebras (or some other kind of observable algebras) is philosophically the most satisfying: a physical model should predict only measurable data, so it is most natural to let the model consist of every measurement which can be performed. A state is somehow just a set of outcomes of all measurements (more precise, a positive linear functional on the observable algebra). Via the GNS-construction, elements of a Hilbert space form such states for the C*-algebra of linear bounded operators on the Hilbert space. To be even more precise, the most satisfying approach to observables would be to model them as projection-valued measures on a separable Hilbert space. Via the spectral theorem, these correspond to self-adjoint operators. Let me elaborate on the justification for a separable Hilbert space. As one sees in the two-slit experiment, superposition of states is possible, so one has to allow convex combination of states, therefore the Hilbert space (where one is actually working in the projective space over the Hilbert space). The Hilbert space has to be separable (which means having a countable Hilbert base, so every vector can be written as limit of countable sums of Hilbert basis vectors), since one can only perform finitely many measurements on any system, but an arbitrary large number of measurements. So one would actually like to use just finite dimensional Hilbert spaces, which would make the maths much easier, but then one would impose an arbitrary limit on the number of possible measurement processes. Maybe nature itself consists of a highly infinite-dimensional Hilbert-space, not admitting any Hilbert basis of low cardinality at all - but this we will never be able to falsify and thus must discard such models. It is in fact meaningless to talk about non-measurable physical realities. Now to projection-valued measures: A single yes-or-no question can be modelled as a projector, since asking whether a state satisfies a certain property will result in a positive answer if the state was an eigenstate of the projector to the subspace of all states satisfying that property. It becomes clear that such a projector would also project all superpositions of yes-or-no states w.r.t. that property onto the yes-subspace, thus changing the state. This is also an important ingredient of all quantum theories: the observer changes the system, as we can also see in the double-slit experiment. Any property of states which consists of something more complicated than just yes-or-no questions can be written as a logical expression in yes-or-no questions. This logical expression in "quantum logic" translates to union, intersection and complement of Hilbert space subspaces, so to projections onto these subspaces. As already said, observables correspond to self-adjoint operators (by the spectral theorem). If you're into Lie algebras you already noticed that skew-hermitian matrices form the Lie algebra of the Lie group of unitary matrices. Physicists like to drop some -i and take hermitian matrices as the infinitesimal generators of unitary time evolution (that's their slang, not mine). One the one hand, C*-algebras naturally admit a commutator which one may think of some quantum version of the Poisson bracket in Lagrangian mechanics. The correct way of doing this is called deformation quantization. On the other hand, C*-algebras have interesting representation theory and this is also connected to physics. One example would be super-selection rules, which can be easily explained by telling you that a super-selection sector is an isotypic component of a C*-representation. Another example (which I think is really nice) is the Aharonov-Bohm effect, where the quantum system behaves differently if a magnetic field is enabled somewhere where particles are unable to enter at all. This corresponds to two systems with the same observable algebra but different representations (since the measurements you can do are the same, but the physics isn't). One shouldn't mention the Heisenberg picture without the Schrödinger picture, where we have to relate AQFT to the so-called FQFT, or functorial quantum field theory. In the Schrödinger picture, observables are fixed and the state has time-evolution. 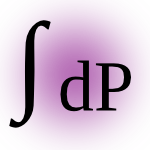 In FQFT, the path integral is formulated axiomatically as a functor. There are various kinds of FQFT and the kind I like most is TQFT, which stands for topological quantum field theory. There, the path integral is a functor from a cobordism category to C*-algebras, associating to each object of the cobordism category (i.e. each manifold) an operator-algebra for that specific space and to each morphism in the cobordism category (i.e. each cobordism) a morphism of operator-algebras that encodes time evolution. A cobordism is considered to model a spacetime segment in this formalism. I didn't put so many links to read further in this text, so if you need more resources to learn about this stuff, just comment here and I will put links to some other introductory material here.